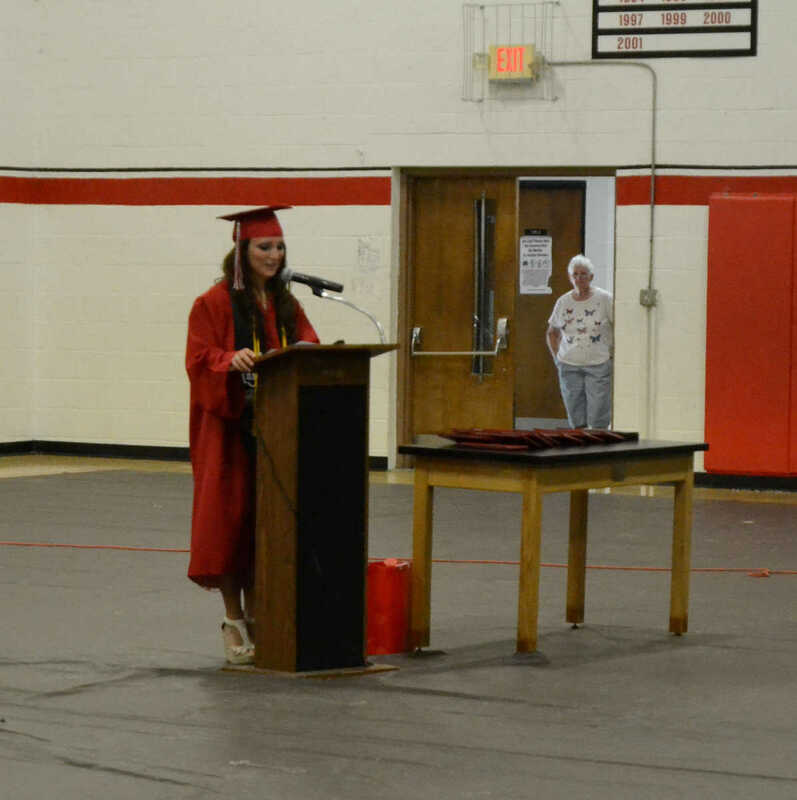 Valedictorian Kaitlee Metcalf speaks during Hume graduation. 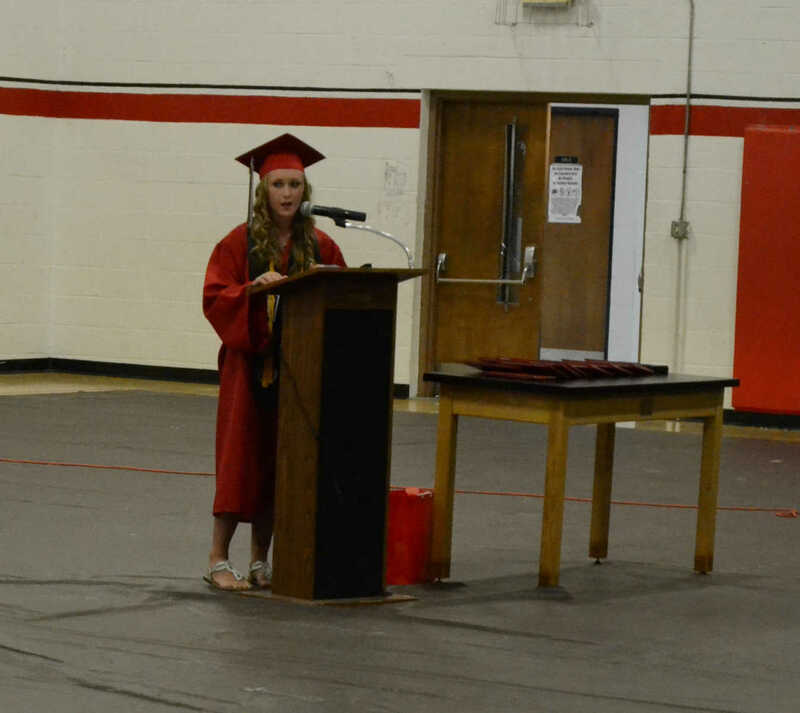 Salutatorian Lacie Gooch speaks during Hume High School graduation. 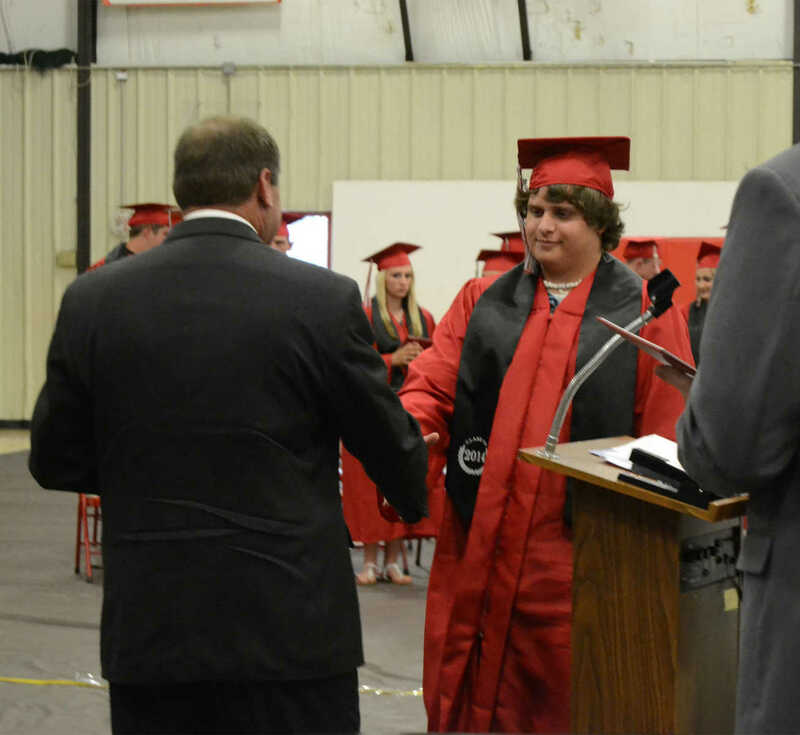 Hume grad Darrell Crawford receives his diploma.